SIMFEROPOL, May 28. /TASS/. Russia’s Federal Security Service (FSB) has identified suspects in the detention of the Nord fishing vessel in Ukraine, head of the FSB branch in Crimea and Sevastopol Viktor Palagin told reporters on Monday, adding that the suspects had been put on an international wanted list. "As for the Nord vessel’s case, all the suspects have been identified and put on an international wanted list," he said in response to a TASS question. "They are all in Ukraine. As soon as they cross the border… we will seek to send them to prison," Palagin added. 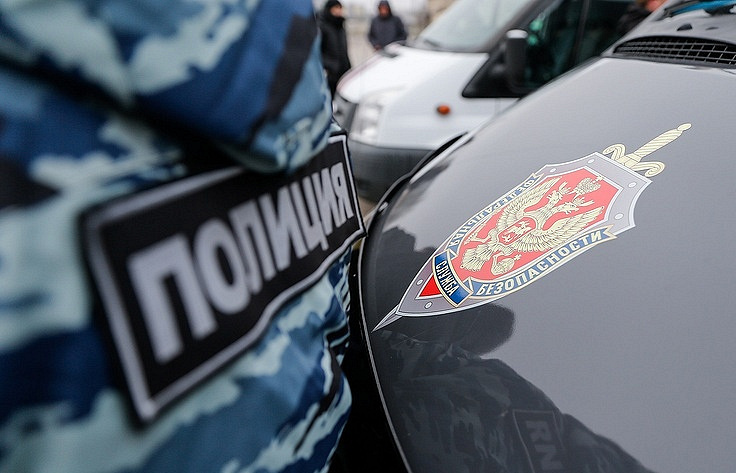 According to earlier reports, the FSB’s Crimean branch launched a criminal case against Ukrainian border guards who had detained the Nord vessel. Palagin also said that in case these Ukrainian border guards were apprehended, they would be punished in Russia "for acting the way Somali pirates do." "They have adopted the approach of Somali pirates though people in a civilized country should not do that. A thing to note is that neither Russia nor Ukraine has the right to territorial waters in the Sea of Azov, which means that their fishermen are allowed to fish along our coast and we can fish along theirs. Russians and Ukrainians never had any issues, disagreements or conflicts on this issue," Palagin pointed out. He added that Ukraine’s actions "sow discord among people." "They are artificially inciting hatred and enmity that can last for years. But one needs to understand that we are one people with Ukrainians, while politicians come and go," he added. On March 25, Ukraine’s State Border Service detained a fishing vessel flying the Russian flag in the Sea of Azov, whose crew includes ten Russian nationals. The vessel’s captain was first charged under the Ukrainian Criminal Code’s article on "violating the entry and exit rules to Ukraine’s occupied territory" and may face up to five years in prison if found guilty, while the ship may be confiscated. On April 6, the Kherson City Court arrested Gorbenko until May 31 but set a bail of 35,200 hryvnias ($1,355), which was immediately granted. The captain was later charged with illegal fishing and released on his own recognizance. At the same time, the Primorsky District Court in the Ukrainian city of Mariupol considered administrative charges against the vessel’s crew members, sentencing them to fines totaling around $1,200. The crew members were prevented from leaving Ukraine with Russian passports as Kiev considers Crimean residents to be Ukrainian citizens.